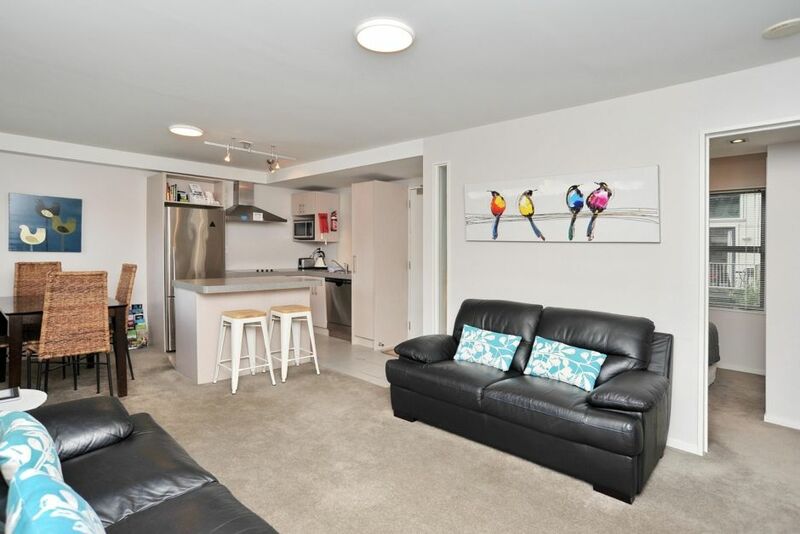 This modern 2 bedroom apartment, with contemporary open plan living and smart kitchen, offers secure and comfortable accommodation close to Christchurch CBD and the central city. Excellent shopping is close to hand at the Victoria Street precinct and Merivale Mall along with some of the best cafes and restaurants Christchurch has to offer. Hagley Park and the Avon River are right on your doorstep making Carlton Villa a great place to stay. Carlton Villa 2 is located next door to Carlton Villa 3 which can be booked in conjunction making a great place to stay if traveling in a larger group or extended family. All of our houses offer 24 Hour Self Check-in / Check-out. Check-in is available from 2PM and check-out is before 10AM. The houses are fitted with secure lock boxes containing the keys, for which you will receive the code in your arrival information prior to your stay. Please select your dates on the Calendar below to book now! The property is very nice, clean, modern and well appointed. The property is very nice, clean, modern and well appointed. Great area, close to the park and shopping. I will definitely stay again.